Increased maximum zoom level in Vizit Essential by 50%. Added additional configuration options to Vizit Essential and Vizit Pro. Added support for 2014 AutoCAD files. Added support for Open Office formats. Improved support for PowerPoint files. Improved support for IE11 in SharePoint 2013. Fixed issues relating to splitting and merging documents. 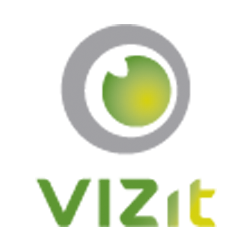 Removed Vizit Pro's document explorer by default to improve loading performance. It can still be turned on using a Configuration Profile. Fixed an issue that would cause concurrent licenses for Vizit Pro to expire in environments with high utilization.